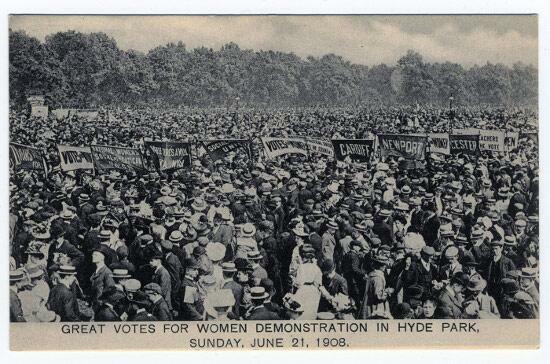 The Great Votes for Women demonstration, 21 June 1908. An estimated 250,000 took part. Such a pity today when some young women (in common with some young men) choose not to vote or even register to vote. If you are young, British and currently living abroad for less than 15 years, a general election is coming up in May, 2015 and you can now more conveniently register on-line here to vote in UK national elections. 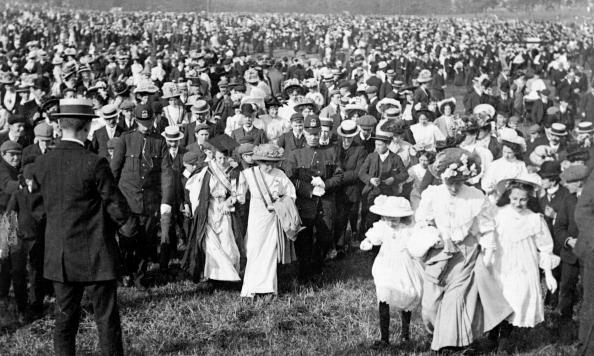 This entry was posted in Hard-Won Right to Vote, Margaret Hales Overseas Voting Letter, Register for Hard-Won Right to Vote, Register to Vote On-Line!, Voting Rights and tagged 15-year-rule, British expatriates, national voting rights, Suffragettes. Bookmark the permalink.